In reality, however, it is how the structure, inclusions and properties of these gemstones interact with light to return an unusual visual effect, or phenomenon, in the parlance of gemology, that make them phenomenal. 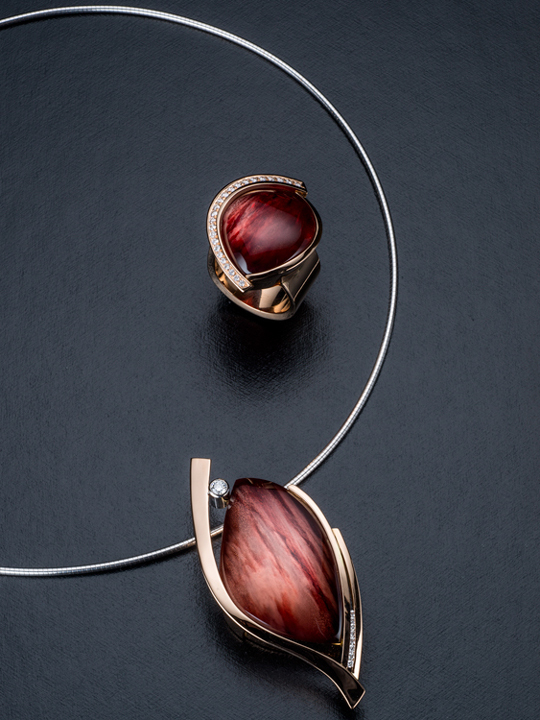 Regardless, we experience these gemstones as fascinating and recognize that they are, in fact, extraordinary. 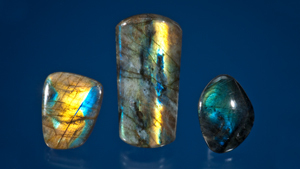 Opal, labradorite and moonstone form in microscopic layers of material that are successively stacked upon each other, giving rise to phenomena based on these unique structures. 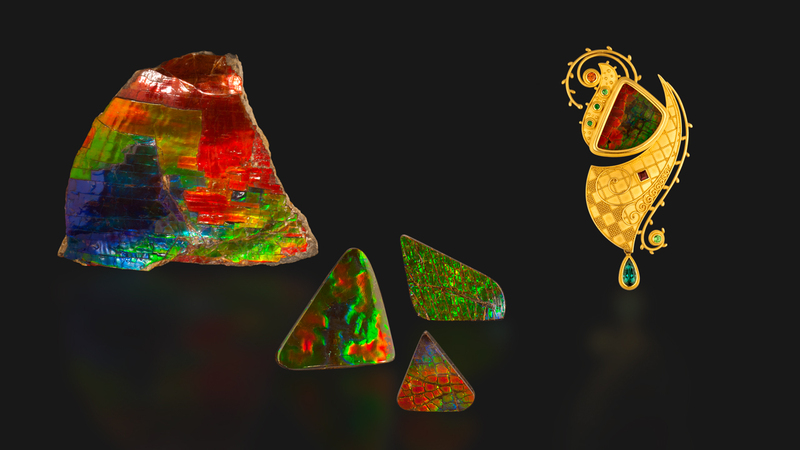 When light interacts with the different structures of gem material it causes flashes of color. Let’s see how their different structures interact with light properties. 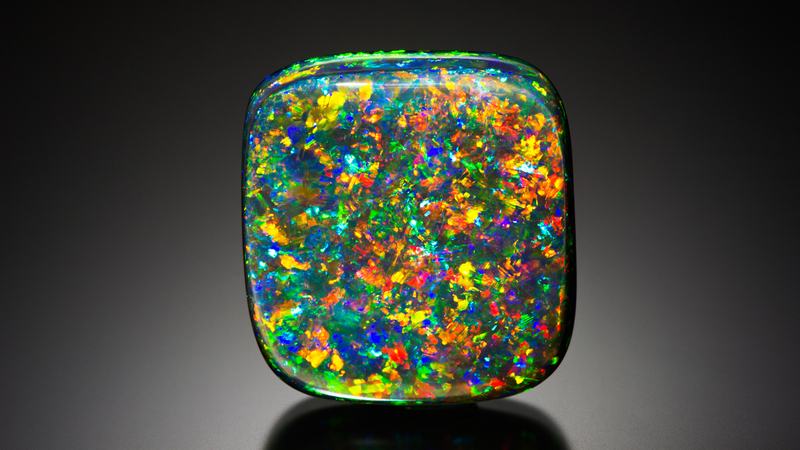 Opal is made up of millions of tiny silica spheres stacked in layers and held together by a mixture of slightly different silica and water. When light interacts with the silica spheres, a diffraction of light causes flashes of spectral colors. These colors depend on the size of the silica spheres. Smaller spheres produce blue to green spectral colors and larger spheres produce red. This phenomenon is called play-of-color. 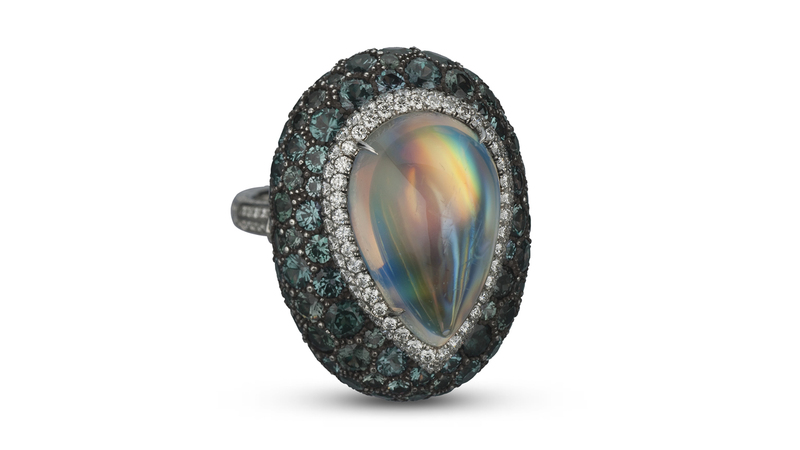 Labradorite is formed by alternating layers of two feldspars that have different chemical compositions. 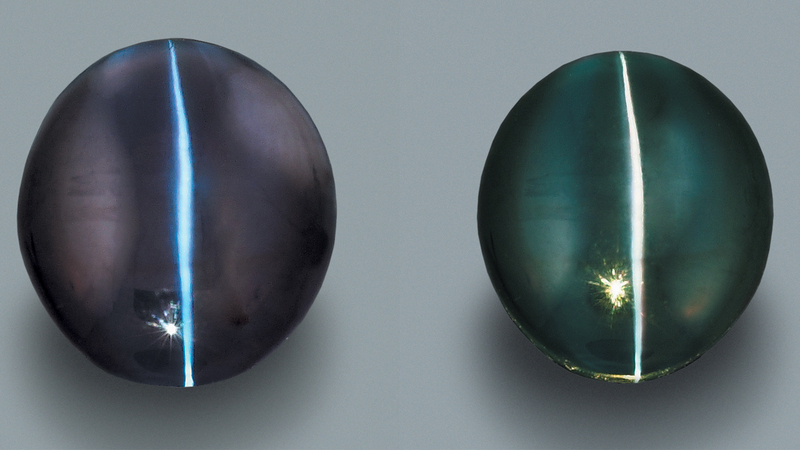 When light interacts with labradorite, the diffraction of light causes the phenomenon known as labradorescence. The perceived colors are dependent on the thickness of the alternating layers and their refractive indices. 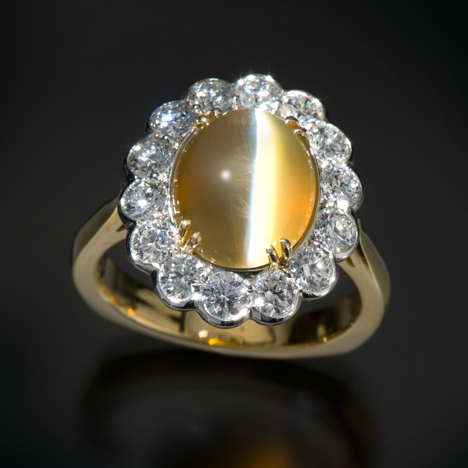 Moonstone is composed of two different types of feldspars that vary in thickness and regularity. 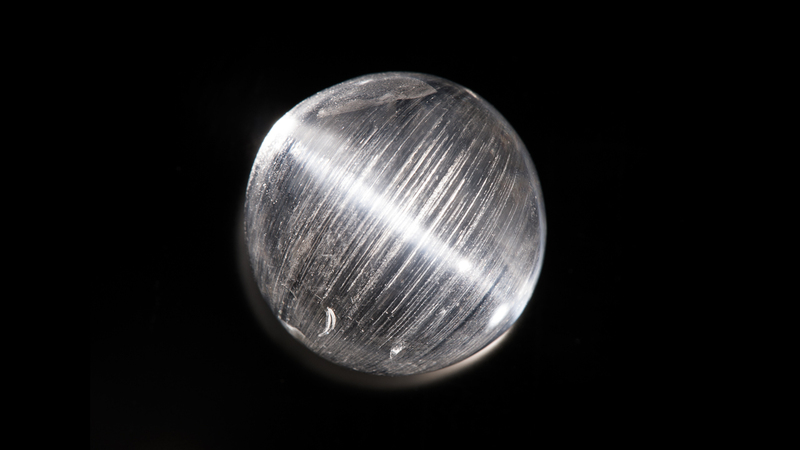 In moonstone, the light is scattered in many directions giving it the characteristic cloudy bluish-white light, known as adularescence. Iridescence happens when light passes through a thin, transparent film that has a different refractive index from the surrounding material. The color patterns in soap bubbles or on a thin film of oil on water are examples of iridescence. 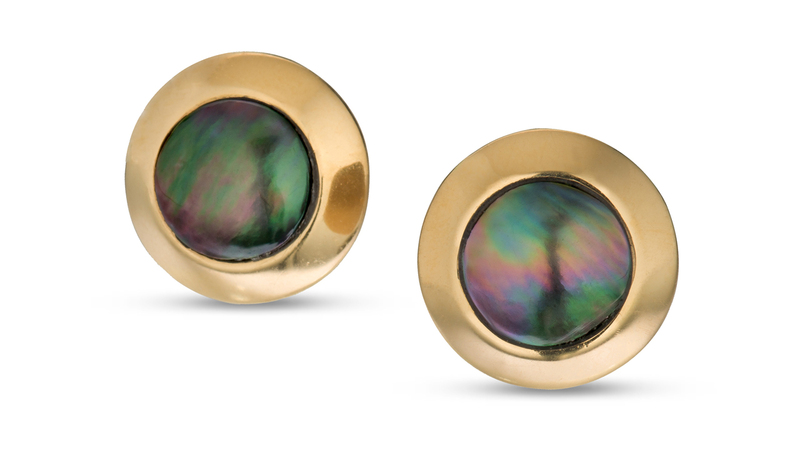 Pearl nacre and mother-of-pearl can have just the right structure to display iridescent optical effects. Orient is a special term used to describe pearl iridescence. 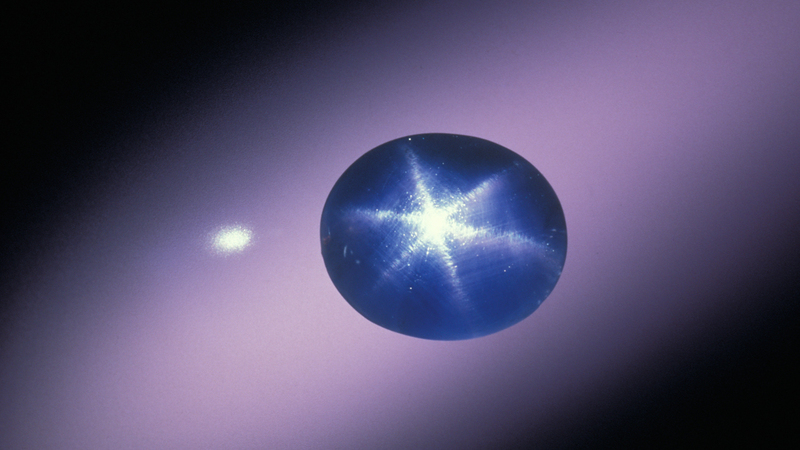 A star or cat’s eye is the type of phenomena caused by inclusions of tiny bands of parallel needles or hollow tubes. When the bands of needles or hollow tubes are parallel, it’s called chatoyancy or cat’s eye. When they cross, a star is formed, called asterism. 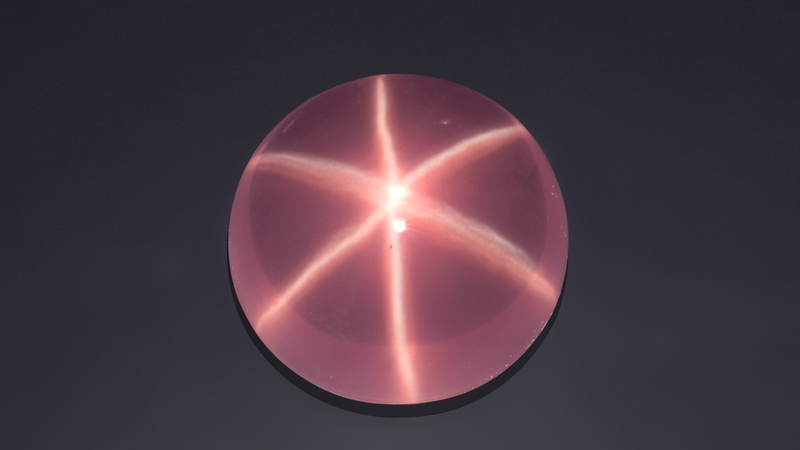 For best results in star and cat’s eye material, the base of the cabochon should be cut parallel to the inclusions to produce an even effect across the dome of the cabochon. Many gemstones possess the phenomena of chatoyancy and asterism: chrysoberyl, ruby, sapphire, spinel, garnet, tourmaline, diopside and quartz are examples. Aventurescence is a type of phenomena caused by light reflecting from small, eye-visible, plate-like inclusions of copper or sometimes hematite inclusions in sunstone feldspar. (In sunstone feldspar the aventurescence is also known in the trade as schiller). In aventurine quartz, spangles of green mica produce the glittery effect and may also give the gem its perceived body color. Color change is another type of phenomena that occurs most dramatically in alexandrite. Chromium causes alexandrite’s color, which accounts for a close balance between red and green, varying with the type of viewing light. The finest Russian alexandrites appear green in daylight and under fluorescent light. Under incandescent light, alexandrites appear red. This phenomenon coined the romantic phrase “emerald by day, ruby by night.” Although alexandrite, named after the Russian tsar Alexander II, is the most valued color change gem, certain sapphire, spinel and garnet varieties can also show color change. Why Are Some Gems Fashioned as Cabochons? 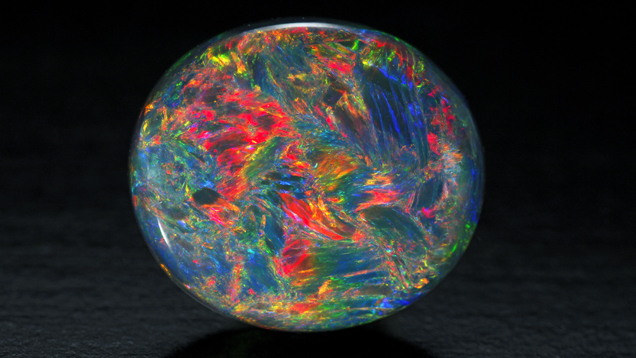 The term cabochon comes from the French word “caboche,” meaning “head” and refers to a gemstone that has been shaped and polished as opposed to faceted. It is also common to carve softer stones as cabochons since minute scratches show much less on a cabochon than on a faceted stone. Light properties and opacity − the ability of light to pass through the gem, are the main factors that come into play when deciding how to cut a gemstone. If a gemstone is opaque it is usually fashioned as a cabochon. 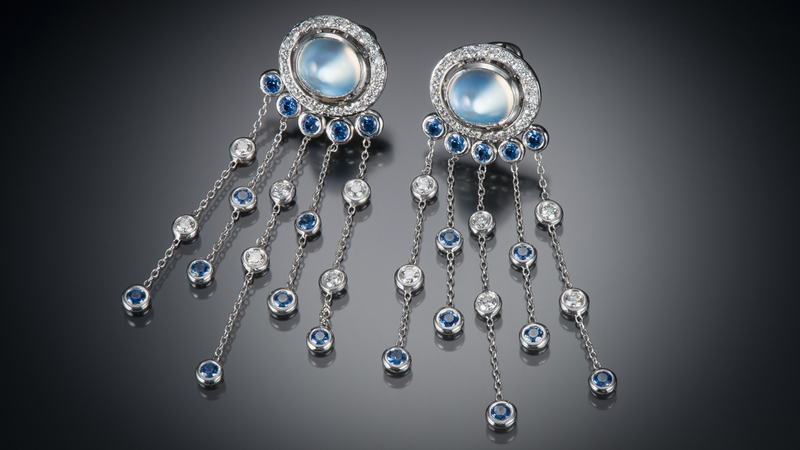 Stones with asterism and chatoyancy are cut as domed cabochons to best portray the fine, needle-like inclusions that produce these two phenomena, which would otherwise not be visible in a faceted cut. The final decision ultimately falls on the lapidary artist or the client’s preference, but they are often fashioned into cabochons to show them off to their best − phenomenal − advantage. Sharon Bohannon, a media editor who researches, catalogs and documents photos, is a GIA GG and GIA AJP. She works in the Richard T. Liddicoat Library and Information Center. Drusy jewelry has surged in popularity in recent years. Celebrities wear it on the red carpet and designers clamor for it at gem shows. Don’t judge a gem by its color alone. Many clues can help you differentiate between gems of similar colors. See if you can figure out these gems. Circumnavigate the boreal reaches of the globe from Greenland proceeding in an easterly direction to Canada to explore polar gems. Master carvers have used chalcedony in jewelry, including cameos and intaglios, since ancient times in Europe and the Middle East. Peer through a microscope and discover another world of gems. 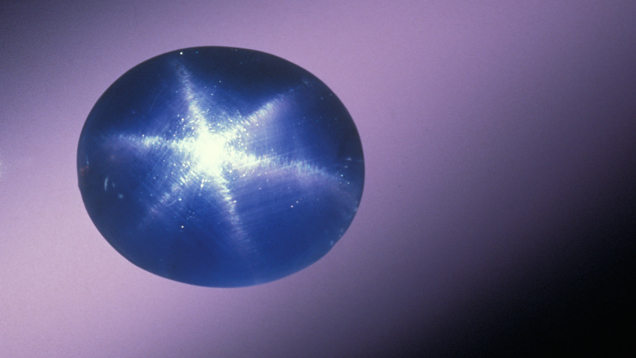 Inclusions reveal the gem’s journey from deep within the earth to its surface. Colombia is home to a rainbow of gems, but emeralds – and the tales of lore that surround them – are the country’s most well-known treasures. A flower is one of nature’s most delicate delights, so it’s natural that jewelry designers have long found inspiration in them.